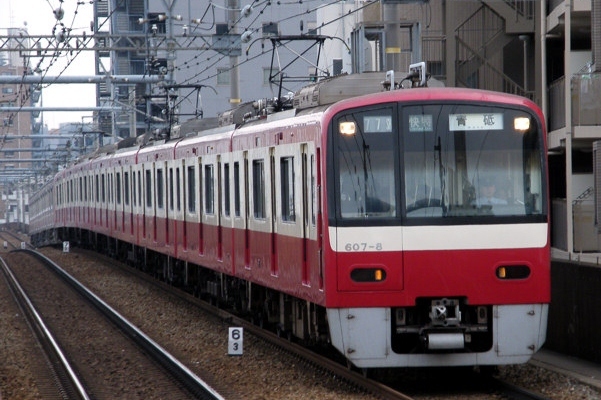 The 600 Series is a three-door commuter-type electric multiple unit designed by Keikyu to replace the original 1000 Series on the Keikyu Main Line with direct service through to the Toei Asakusa Line. 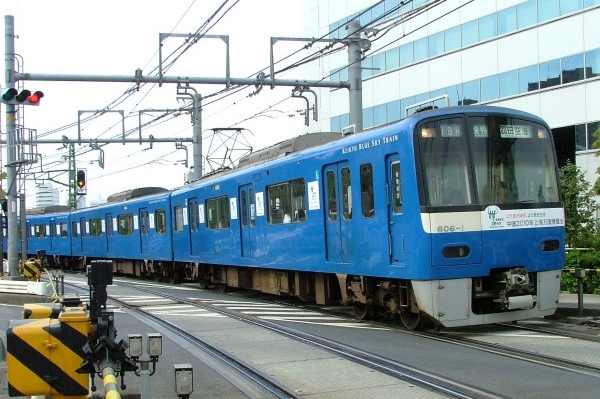 During the 1990s, JR East and many of the major private rail operators in the Tokyo area developed trains with more doors or wider doors than standard trains to deal with the rush hour crowds. Keikyu went in the opposite direction and developed the 600 Series with spacious crosswise seating. The crosswise seating turned out to be impractical during rush hours though and Keikyu has replaced the seats between doors with lengthwise bench type seating. The 600 Series is constructed of aluminum alloy and shares many components with the later models of the 1500 Series, including the variable frequency drive. It is the third train designed by Keikyu to be named the 600 Series.